Meet the resilient little porcupine who was found with barely any of his quills. 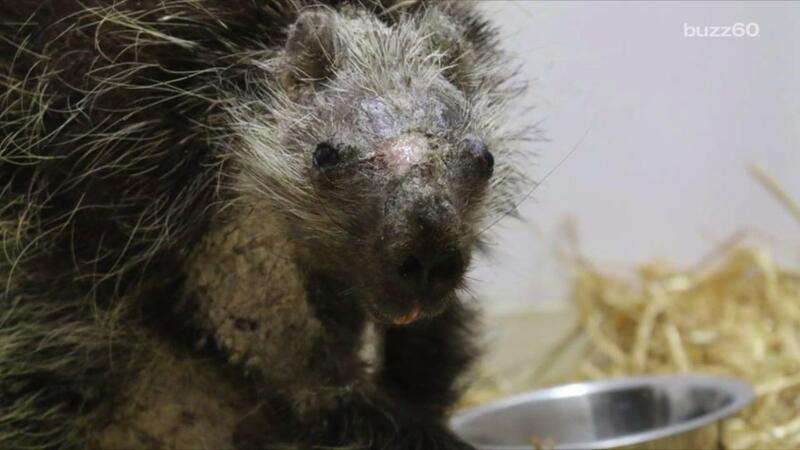 He was brought to Wildlife Rescue and Rehabilitation staffers, who immediately noticed his severe skin issues, consisting of missing quills and cracked skin. Because porcupines need their quills for survival, this little guy stayed with the Wildlife Rescue team for the duration of his recovery. The vet staff was unsure of the cause of the skin condition, but were swift and effective with their treatment. The porcupine was given anti-fungal and anti-parasitic medications, along with other homeopathic remedies. The treatment worked, and in just six months, he was completely healed and ready to return home. During recovery, the porcupine was kept with other animals in a familiar environment, which should make his transition back home much easier. Wildlife Rescue released him to a protected site that they believe is an ideal habitat for porcupines. We're not worried though, because this little guy seems like he can handle just about anything!